This spurge lives up to its name: it grows up to a metre in height and has umbels in the form of large rounded heads of flowers. 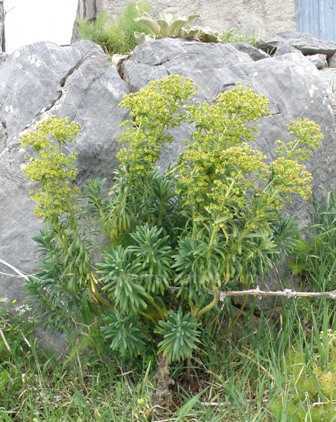 Euphorbia characias grows in rocky and stony places, on abandoned farmland, in scrub and wasteland and even on the sides of roads. It is also widely grown in gardens. 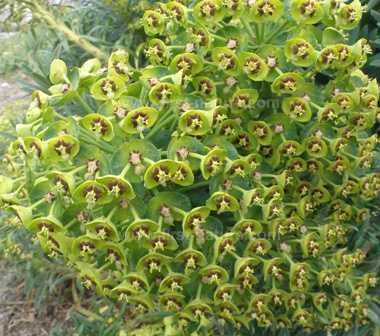 A member of the family Euphorbiaceae, Large Mediterranean Spurge blooms from the end of March until June and can be found from Portugal eastwards to Italy and Greece.